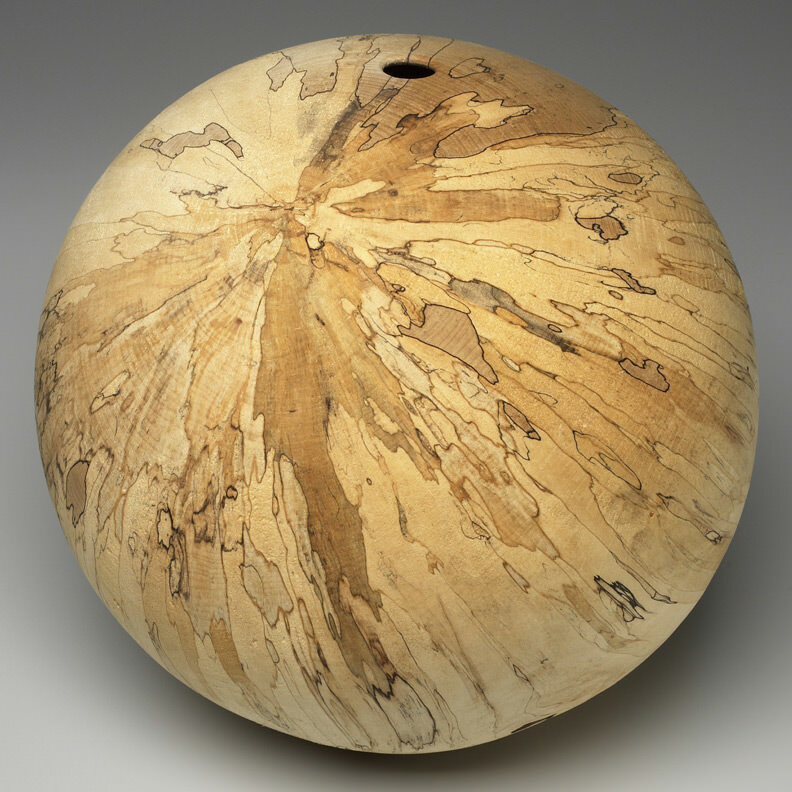 David Ellsworth, Lunar Sphere, 2000. Spalted maple. The Minneapolis Institute of Arts, Gift of Ruth and David Waterbury in honor of Christopher Monkhouse for bringing wood art to the MIA. The wood art collection of Minneapolitans David and Ruth Waterbury, considered one of the best in the country, consists of one-of-a-kind objects that demonstrate superb craftsmanship, remarkable artistry, and rich diversity of technique, including carving, burning, piercing, and painting. Conversations with Wood: The Ruth and David Waterbury Collection, organized by the Minneapolis Institute of Arts, features approximately 80 pieces of wood art, representing the changing approaches to the medium during the past 25 years, from simple turned vessels to sculpted and constructed works. The Waterbury collection includes works by many prominent artists in the field, including William Hunter, Ron Kent, Michelle Holzapfel, Robyn Horn, Robert Stocksdale, Michael Mode, Alan Stirt, Hayley Smith, and Todd Hoyer. Exhibition organized by the Minneapolis Institute of Arts. Presentation at the Yale University Art Gallery made possible by the Janet and Simeon Braguin Fund.